Vip NEObusiness tariffs for SMEs are a true support to every business, as they contain unlimited minutes and SMSs to all domestic networks, sufficient controlling gigabytes, and roaming minutes for communication in the countries where A1 Telekom Austria Group operates. 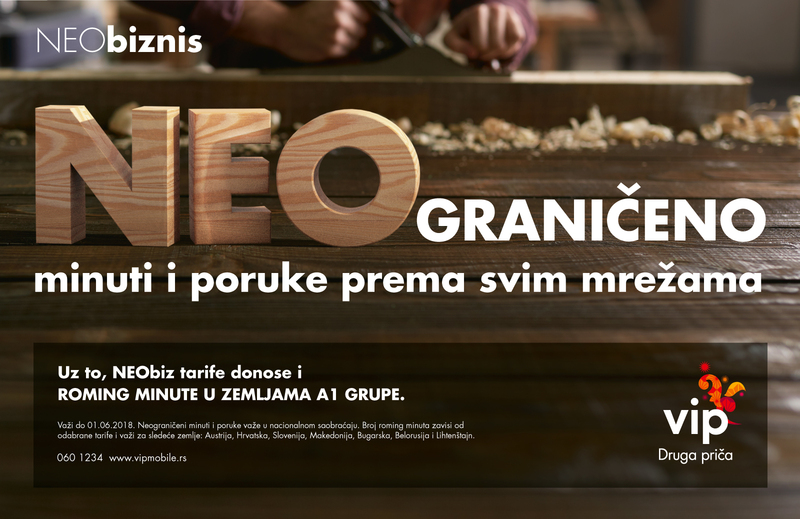 “With NEObusiness tariffs, users can now control their costs whether they are in Serbia or on a business trip, because we know how much expenditure planning is important for every business. In addition to unlimited communication to all domestic networks, these are the first tariffs on the market with included roaming minutes for communication in Austria, Bulgaria, Croatia, Belarus, Slovenia, Macedonia and Liechtenstein. NEObusiness offer is another proof of our endeavors to nurture a partnership relationship with customers and encourage us to do business successfully” said Branka Pudrlja Durbaba, Senior Sales and Customer Service Manager at Vip mobile. Hi i have a question how can i contact with you ? i dont see any contact link .